Forget 2018. 2019 is here—a new year with new possibilities—and we’re eager to share what we know. Today we’re reviewing the inbound marketing landscape. We’ll be pulling facts from HubSpot’s State of Inbound 2018 report to provide context and much-needed data that will help us extrapolate on what trends companies can expect to see in the coming year. 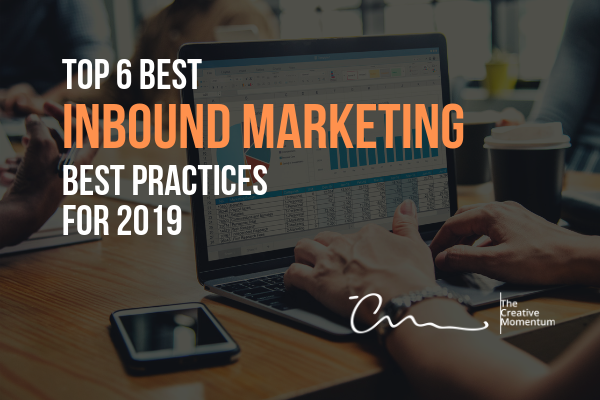 Consider these the new best practices for inbound marketing success in 2019. More than anything else, marketers agree that converting leads to customers will be one of their top priorities in 2019. For inbound marketing, this means that companies will need to work on the parts of their marketing funnels that actually drive conversions: The bottom of the funnel (BOFU). To refresh everyone, the BOFU is the last stage of the marketing cycle, reserved for prospects close to the point of purchase. These are the viewers who have engaged with a company’s lead nurturing materials to the point where they’re definitely interested in the service, but they haven’t yet committed to a provider. Companies will need to prioritize these materials and think about how they can better break through this last-minute resistance. Free trials, demos, discount codes, and special promos are only the beginning. Look at what types of offers generated the highest conversions in the past and consider how to expand these materials. When asked about specific goals for inbound marketing projects, 61 percent of marketers stated that developing their SEO strategy would be a key goal in 2019. Honestly, it’d take us all day to describe the basics of SEO in 2019, but the above points are a great place to start. Expect to see an increased push for brand awareness on social media, particularly where video content is concerned. Both social media and video are becoming key aspects of drawing prospects into the inbound funnel, so we aren’t surprised to see that so many marketers are folding these strategies into their 2019 plans. Here’s one fact from HubSpot’s data that surprised us: 62 percent of sales teams spend MORE than 30 minutes per day on data entry or other manual tasks. In our minds, this is an area ripe for optimization in 2019. Every minute a salesperson wastes on data entry is a minute s/he could be prospecting and engaging with leads. Sure, some customer data entry is unavoidable, but when 19 percent of sales teams are spending one to two hours per day on data entry, something is wrong. Companies looking for an edge here should examine their customer management systems and see how these processes could be streamlined. We’ve already established that converting leads to customers is a top priority for marketers, and it’s the sales teams that make it happen. Companies that optimize their sales teams’ workflows will be able to devote more time to customer outreach—and might just receive more conversions for their trouble! Note that referrals remain one of the best ways to bring prospects into the inbound marketing funnel, even in 2019. The data shows that marketers view referrals as the highest-quality leads, with 59 percent stating that their referral leads are either “high” or “very high” quality. Translation? Referrals lead to conversions far more often than leads sourced by sales or marketing teams. Work on building out your referral strategies over the coming months. Create a systematic approach for meeting possible referral sources and leaning on the customers you already have. Companies have been leaning away from traditional, paid advertising for years now, but plenty of companies still keep active paid advertising campaigns across print, TV, and radio. However, this is changing. A full 30 percent of marketers agree that paid advertising is the most overrated channel, falling short behind blogging, email marketing, and even organic social media outreach. Of course, paid advertising still has its place for digital ad placement, ad auctions, and the like, but as we move farther and farther away from the days of outbound advertising, companies should start looking at how these traditional ad dollars could be better spent. What Will Inbound Marketing Look Like in 2019? In short, inbound marketing is getting leaner and meaner in 2019. Companies are getting better at measuring what works and understanding where their inefficiencies are. If you want to keep up, you’ll need to devote the same level of attention to the practice and examine how your own marketing teams can apply the above rules.